No server is required for Energy Management any more. 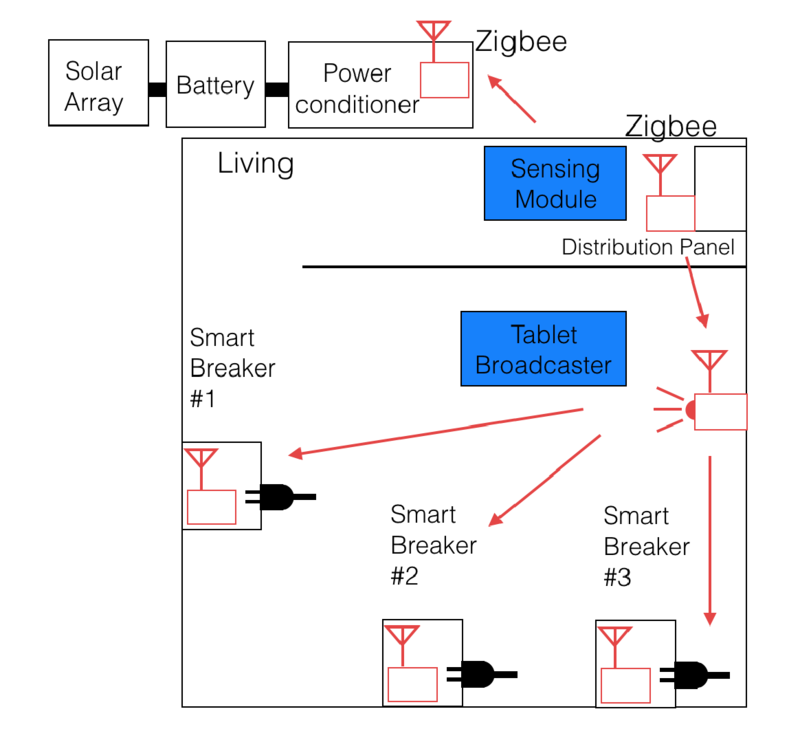 This retrofits for already existing houses, and changes them to Smart Energy Houses with Patchedconics' Innovative Peak Cut Power Controller, represented by Smart Outlet Breakers System. 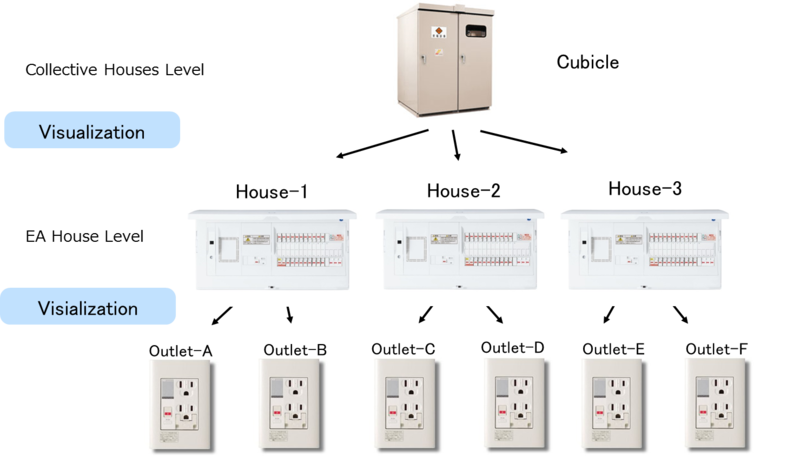 Contemporary home distributors panels have multiple sub-circuit-breakers and are resilient for / and prevent root circuit breaker trip due to overpower consumption. 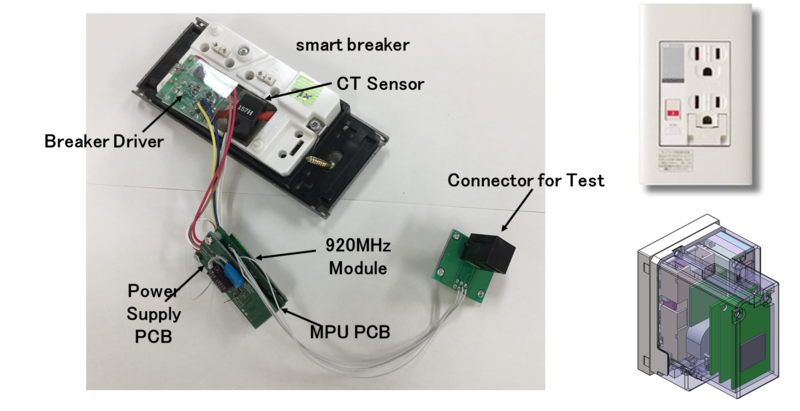 However, even while each sub-circuit-breaker does not trip, when the sum of entire home power consumption exceeds the limitation, the root circuit breaker trips in the end. It is not only inconvenient but also leads to higher cost due to the higher peak power consumption. The most practical and best way is to shut down each outlet that consumes the highest power or has triggered the power excess beyond limitation. In order to activate such most appropriate outlet breaker, most methods will make a survey of power consumption status at every outlet. This is server-client way and requests heavy communication traffic and the reaction becomes very slow. Besides, it is a contradiction to collect every information while what is to be controlled is a scalar and single quantity. JAXA devised a new approach of independent, distributed and autonomous way. There is no server in the system but a broadcaster that just transmits the power balance in one way traffic manner. As the word shows literally, the brain is not concentrated to the central facility but is divided and distributed to each outlet. This admits any new outlet join into or leave from the system arbitrarily. No heavy initial cost is required for building the central facility. On left, here is shown a smart outlet breaker. This fits for existing outlet switch box at existing houses as illustrated. The control system structure can be easily layered. 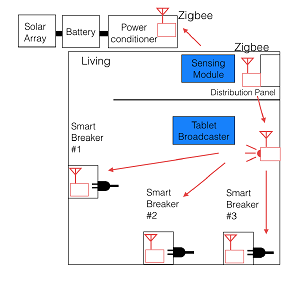 For instance, for collective houses, when a root broadcaster is prepared at the cubicle power receiving station, power is first shared among the houses, and further shared by outlets in each house. 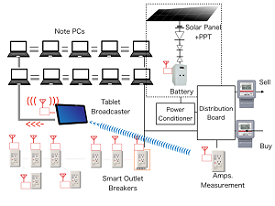 Sharing is accomplished by a set of outlet breakers based on which outlet consumes most or which outlet causes power deficit in smart way. Note this functions without any server facility. If this is introduced at home, the entire power consumption is automatically controlled prescribed limit with no new facility. 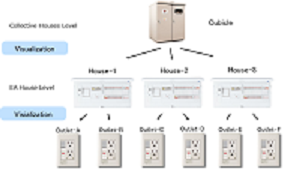 The system is built by just replacing existing outlet with smart outlet. When this is introduced at offices, together with the Note PC, distributed office power plant, BEMS environment is easily built with less investment.